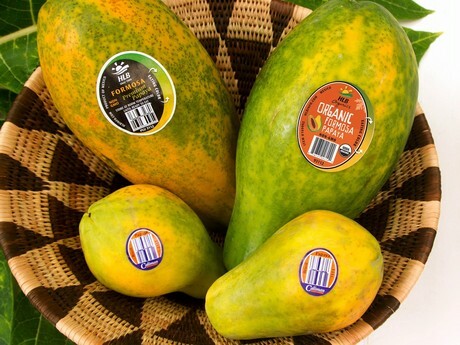 HLB Specialties, a US papaya importer, released a statement Friday that emphasized the differences between brands, varieties and countries of origin. “The outbreak is limited to one specific grower in the south of Mexico, Carica de Campeche, and the brands they distribute. Papayas from Guatemala, Brazil, Formosa papaya and other Maradol papaya brands from Mexico are not linked to the outbreak and are safe for consumption,” the statement said. In light of the recent Salmonella outbreak of July 2017, HLB Specialties is cautioning retailers and the media to make a clear distinction between the different papaya brands, growers, varieties, and countries of origin. The outbreak is limited to one specific grower in the south of Mexico, Carica de Campeche, and the brands they distribute. Papayas from Guatemala, Brazil, Formosa papaya and other Maradol papaya brands from Mexico are not linked to the outbreak and are safe for consumption. The company hopes to educate shoppers on the different types of papaya and to dispel any confusion that may have arisen from the outbreak. Melissa Hartmann de Barros, Director of Communications at HLB Specialties, notes “The safety of the consumers is our highest priority. We share their concern, but we also want to provide as much information as possible, so that shoppers can make an educated decision when buying papayas. Ms. Hartmann de Barros adds, “we are seeing a lot of misinformation circulating, including pictures of the wrong papaya variety being used when referring to the Maradol papaya linked to the Salmonella outbreak.” Maradol Papayas are the large kind, weighing approximately three pounds and usually have a fully yellow skin when ripe. Formosa papayas, also known as Tainung papayas, are also large and similar to Maradol in size and weight, but they are greener and ready to eat when only half yellow. The small Brazilian Golden Papaya variety weighs around one pound, is very sweet and ideal for personal use. Papayas are considered one of the healthiest fruits in the world due to their high vitamin content, especially vitamin C.